Living in the United States, it's hard to imagine living like these people do, and willfully ingesting this type of potentially lethal cocktail, but apparently this is pretty common in the slum regions of India, where people can't afford legal alcohol. At this point, 90 are dead, and 40 more are being treated in the hospital. The news states that these types of concoctions often are treated with pesticides, methanol, or other toxins, apparently to increase their potency. It's sad that people would drink something like this, and sad that, although this isn't the first time something like this has happened, it will probably occur again. From Yahoo News: The death toll from India's latest incident of mass alcohol poisoning following the consumption of toxic homemade liquor rose to 90 on Saturday, Mumbai police said. Dhananjay Kulkarni, deputy police commissioner in the western Indian city, said it was possible that the number of dead from drinking the illicit moonshine could reach three figures. "More than 40 are being treated in hospital and the death toll may reach 100," the commissioner added. Wow! That's lethal. It's hard to imagine how people could drink such kind of chemicals as substitute for alcohol. Pesticides are meant to "kill" so these people had to have the guts and desperation to drink to be able to resort to these things. I just wonder how they even started this kind of concoction. gracer Apparently it's commonplace in the poorer sections of the country, where the people can't afford legal alcohol. People have been making 'home brew' or moonshine as it used to be called here in the U.S., for years, and some of that was extremely dangerous, also. Sometimes people would go blind or die from drinking it. I guess if you're desperate enough to escape your circumstances you'll do just about anything, and this is how some of them do that. Their living conditions are so different from what most of us have dealt with, that they probably don't even consider those ingredients to be toxins, or more dangerous than a lot of other things they encounter, unfortunately. It's just so unfortunate that people have to resort to these toxic substances thinking they could temporarily get away from their situation but they have instead lost their lives due to this. I just saw this on the news last night and it's really baffling how many people died because of this toxic concoction. That is a large number of people so it must be a type of "dare if you do" type of thing there. If it was a smaller number I would chock it up to alcoholics trying to get their fix but it seems like this is a challenge of some sort as well as an escape for desperate or bored individuals. wow, I did not know about this! It baffles me why people would want to drink something that has a high risk associated with it. I wonder if it could be a thrill for them to do it, but again it just seems like a stupid thing to do. Lets hope the remaining ones in hospital pull through! As Diane mentioned above, the reason why they turn to these illegally brewed alcohol is that the poor cannot afford licensed liquor and this type of illicit alcohol can be purchased for less than a dollar for a 25cl bottle. There is also an alcohol prohibition in the states of Gujarat, Nagaland and parts of Manipur; as well as the Union Territory of Lakshadweep. From everything that I have read, these moonshiners purposefully spike their home made brews with methyl alcohol and industrial spirits. 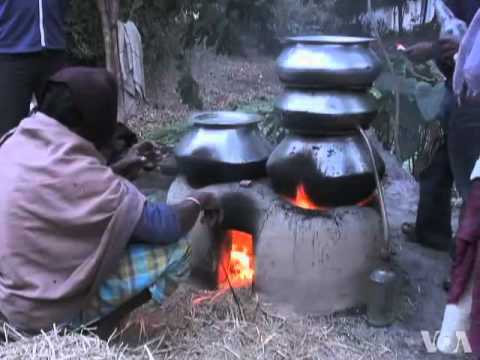 These bootleggers work in hidden warehouses and even in dark, hidden forests, and can turn one liter of genuine alcohol into 1,000 liters of bootlegged moonshine - often called Desi Daroo - with chemicals and additives. dillinger10 You always find the good information! I'm so glad you share it with us here. I would imagine it's a popular enterprise, since the profits are large, and the cost of living so low over there. It's a shame, but there will always be someone looking to make a dollar, and people such as these, who overlook the health of others are very dangerous. I'm sure though, that even if they were caught, others would take their place, similarly to how when one drug dealer here in the States is arrested, it doesn't take long for that void to be filled. Where there is demand, there will be supply. The demand seems to be a really big problem. So much so that the Maharashtra chief minister has come out today and demanded that the harshest punishment be meted out to those responsible for the poisoning. In fact, Devendra Fadnavis went so far as to say that he wants to see the culprits hanged to death. In an effort to combat the recent spate in deaths due to poisoned alcohol, the government has also proposed to change the color of methanol, which is routinely used in these homemade illegal brews, to help distinguish it from other forms of industrial alcohol. This article published by NDTV also touches further upon the wonderful information you provided earlier in the thread regarding the potency of drinking methanol. The article claims that consumption of as little as 10ml can result in blindness, and 30ml or more is usually fatal. In light of this article by The BBC reporting that 50ml bottles were being sold for as little as 16 cents, it is easy to see why so many died. The NDTV article also mentions that four officials of the state excise department and eight police officers have been suspended after it was alleged that police were negligent in their vigilance and had they acted sooner, this tragedy could have been averted. True. Though this sort of thing wasn't all that uncommon during the Prohibition years in the states. Bathtub Gin and the like, at times, resulted in illness, blindness, or death. I don't know if anyone else has read "No Price Too High" by Robert M. Hardaway but it touches quite heavily on prohibition and the number of deaths occurring from poisoned liquor during prohibition. I just pulled my copy of the book out to ensure I have the numbers correct: In 1920, the number of people that died as a result of poisoned liquor was 1,064. In 1925, the number increased to 4,154 while a total of 41 people died on New Year's Day, 1927 alone. Hardaway also states that the government 's Wickersham Commission concluded that as much as seventy million gallons of alcohol were moonshined annually from corn sugar alone! Last edited by dillinger10; 06-24-2015, 12:02 AM. Not even that, but some people (still) resort to drinking Methanol, which results in blindness. In ireland we had a similar case when the brewing of an illegal alcoholic drink known as Poitín was being made. Some gobshite decided in order to make more of it, he'd pour in a few liters of Methanol into the batch. There were several reported cases of people going blind before people realised the cause. I do think it could help that they are going to change the color of the methanol, but, unfortunately, that simply means manufacturers will use similar products without that tint. I think the best tactic would be to manufacture cheap legal alcohol, since there is such a demand. Obviously these concoctions can't taste good, so it's not as if whoever would be manufacturing the cheap liquor would have to put a lot of expensive ingredients into them. We here in the U.S. are familiar with MD20/20 and Boone's Farm wines, that are popular with a lot of teens and those without a lot of resources who want to drink, and those are lower cost than a lot of other liquors. I'm sure with the lower cost of ingredients and cost of living in India, something could be done to create legal and safe products that would serve the needs of those in the lower income demographic. Something certainly needs to be done as unfortunately, the brewing and drinking of illicit alcohol is an ongoing problem. This news report below is from three years and reports on the deaths of 150 that died drinking the same illegal hooch back in December 2011. The video makes mention of the fact that the Indian government places a high tax on liquor in an attempt to discourage people from buying it. As a result, only the rich can afford the genuine manufactured alcohol. This leaves the door wide open for opportunists to manufacture the cheap, illicit alcohol to sell to the rest of the country. Making matters worse is the claims that many of these manufacturers, distributors and vendors are selling the alcohol under the direct knowledge of local police. So, if they are involved, then it really is incredibly hard to put a stop to this. This last piece of information helps to explain why eight police officers have been suspended from their negligence in this latest incident. Huh, 90 dead from poisonous alcohol. Sometimes it makes me wonder why some people are still in the dark ages. Isn't this the digital age when virtually everything is in the internet? It's so easy to Google whatever you may need. That means some pressing of the keys would easily tell you that bootlegged alcoholic drinks may be hazardous to your health. Oh, well, that's the result of ignorance. I am sorry for the victims in Mumbai and I hope this incident would serve as a neat lesson. Yes, dillinger10, unfortunately, those living under such circumstances will seek whatever escape they can, regardless of the risks. It's really a shame that the government places such a high sin tax (as it's called here) on the legal liquor, because they are obviously aware of this situation, and must not place a high value on the lives of those living in the slums and others who use these toxic products.